On June 8, 2006, the Food and Drug Administration announced the approval of Gardasil®, a vaccine developed by Merck & Company to prevent human papillomavirus (HPV) infection, the primary cause of cervical cancer. The vaccine marked a major advance toward cancer prevention and protection of women’s health. HPV is the most common sexually transmitted disease in the US. Though it goes away by itself in most cases, infection by certain high-risk types of HPV can lead to cervical cancer. In fact, almost all cases of cervical cancer are caused by HPV infection. Key elements of the technology for Gardasil® originated from the HPV research of the laboratory of Drs. Douglas Lowy and John Schiller of the NCI. Drs. Lowy and Schiller began their research on the molecular biology of HPV nearly 25 years ago. That scientific quest led to the development of the virus-like particle vaccine technology on which Gardasil® is based. The invention was licensed to Merck, the maker of Gardasil®, and also to GlaxoSmithKline. Gardasil® is an immensely effective cancer vaccine. Clinical studies conducted in 13 countries including the U.S. found it to be 100% effective in preventing HPV16 and HPV18-related cervical cancers, which represent 70% of the disease; and it is 99% effective in preventing genital warts induced by HPV6 and HPV11, which cause 90% of the disease. Gardasil® is a remarkable advance in the field of cancer prevention and sexually transmitted disease control. It opened a new era in preventive cancer and sexually transmitted disease vaccines. A team of NCI researchers led by Joe DiPaolo, M.D., and Jay Donniger, Ph.D., was among the first to show that DNA from HPV 16, the serotype found most often in cervical cancers, was able to cause cancer-like traits in cells grown in the lab. These researchers also showed that HPV 16 and mutations (cellular transformation) caused tumors to develop. This finding suggested that several mutations or alterations needed to take place in the cell at the same time to lead to cancer. Douglas Lowy, M.D., and John Schiller, Ph.D., in the NCI Intramural program, studied how HPV genes and proteins worked. As the link between HPV and cervical cancer became stronger, these researchers and other scientists explored the possibility of developing a vaccine to prevent HPV infection. In the early 1990s, two research groups—including one led by Drs. Lowy and Schiller, and another laboratory supported by NCI grants—independently discovered that recombinantly expressed proteins that form the HPV capsid could self-assemble into particles that closely resemble the virus and create high levels of potentially protective antibodies. This discovery became the basis of two HPV vaccines: Gardasil® licensed by the FDA for prevention of cervical cancer in 2006; and Cervarix®, approved three years later. NCI-supported researchers helped establish HPV as a major cause of cervical cancer, carried out studies to determine how HPV causes cancer, and developed the technology used to create the first HPV vaccines. NCI scientists also were involved in the initial trials of Cervarix® and are contributing to ongoing clinical studies of the vaccine. Merck & Co. Inc. conducted clinical trials, and in October 2005 announced the clinical trial results - it was one of the most successful vaccine clinical trials ever. The phase II and phase III studies evaluated the effects of Gardasil® on 20,541 women between the ages of 16 and 26. The women were followed for up to five years. Remarkably, none of the women receiving Gardasil® developed precancerous cervical lesions caused by the types in the vaccine. Gardasil® also had a 99% efficacy in preventing genital warts by the types targeted by the vaccine. However, there is evidence that Gardasil® is effective at treatment of preexisting HPV infection. The NIH Office of Technology Transfer (OTT) oversaw the patenting of the VLPs invented by Drs. Lowy and Schiller. OTT then sought a suitable company with the necessary resources to license the patent estates toward the ends of formulating the vaccine and to conduct clinical trials. The technology was licensed to Merck, the maker of Gardasil®. 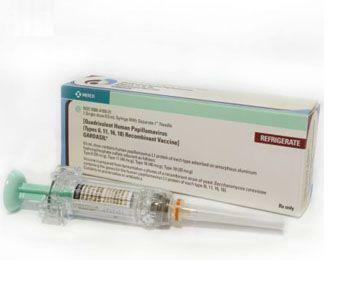 Commercialization of two HPV vaccines - Gardasil® and Cervarix®. Gardasil® is a remarkable advance in the field of cancer prevention and sexually transmitted disease control. It opened a new era in preventive cancer and sexually transmitted disease vaccines.